One of the many joys of international travel is the opportunity to experience holiday celebrations in other countries. Whether it’s Dashain in Nepal, Boxing Day in England or Poya in Sri Lanka, it fills me with gratitude to know that I’m taking part in something so much bigger than myself and becoming a true citizen of the world. If you’re heading south this winter and find yourself in the Yucatan in early December, you may come across Mexico residents running along the roadside or cycling, all the while carrying a torch or passing it amongst themselves. 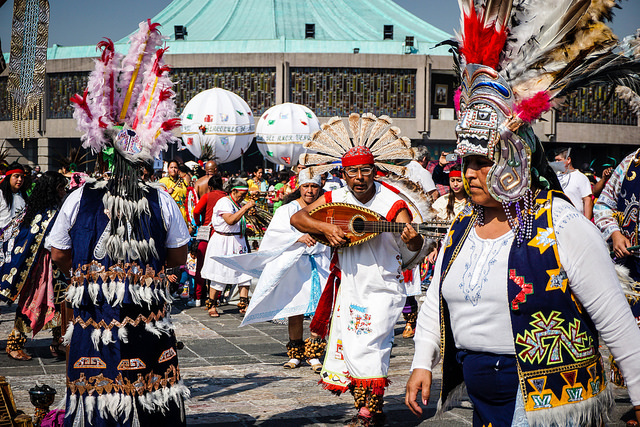 These “guadalupanos” are making their way from smaller inland towns to Merida in a marathon of sorts to venerate the Virgin of Guadalupe, Mexico’s patron saint. 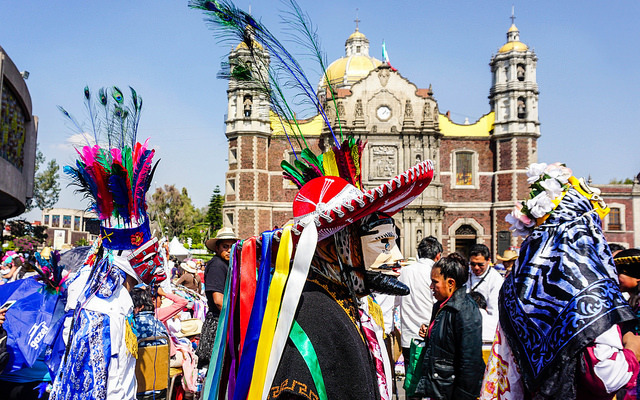 It’s a pilgrimage that takes places every year leading up to December 12th, the feast day of Guadalupe, and one of the holiest days of the year for Catholics. December 12th kicks off a season of festivities, sometimes known colloquially as the “Reyes Marathon” because starting with Guadalupe on the 12th, celebrations don’t end until Wise Men/Holy Kings Day on January 6th. This basically means that starting the second week of December, most families and friends reunite almost every day to celebrate and dine together – what a treat! Guadalupe Feast Day commemorates the days December 9th and 21st in 1531, when it is believed that Juan Diego, a lowly peasant, encountered the Virgin Mary. Two unique aspects of this apparition set it apart from others: It was the only apparition that left a miraculous image of herself that was not human-made, and it is the only image in which Our Lady is seen as pregnant instead of holding baby Jesus. Our Lady of Guadalupe is still viewed today as a protector of the humble and weak, someone who chose a simple rural resident to carry her message of love to the people. She remains a symbol of Mexican identity and a hallmark of motherhood, feminism and social justice. Today, the feast day is marked with Catholic masses, pilgrimages and much festivity. Children dress in traditional costume and thousands enter the local churches to pray together. In Merida, people gather in San Cristobal Church – the lengthy festivities end with mariachis singing “Las Mañanitas” at dawn. And in Mexico City, pilgrims visit the Basilica of Our Lady of Guadalupe, one of the most-visited Catholic pilgrimage sites in the world. Churches in southern California might see as many as four or five thousand people attend Mass to be part of the mariachi music, the singing, the praying of the rosary and the traditional mass. 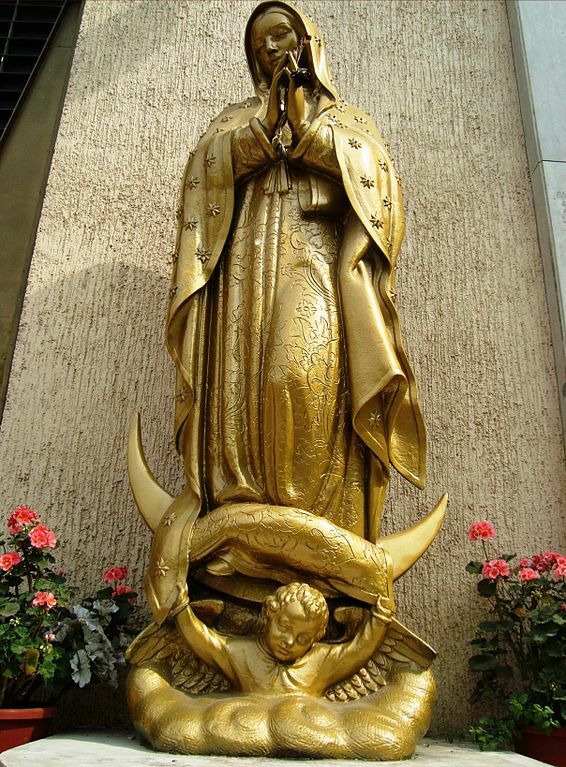 Go into almost any home in Mexico and you’ll find a statue of Our Lady of Guadalupe, whether or not the family still practices Catholicism. Families and friends may gather for a meal around a table decorated with vibrantly colored flowers in shades of red, pink, blue and green. Often, they’ll recite the prayer to Our Lady that was written by Pope St. John Paul II, who deemed Our Lady the patron saint of the Americas. Some host an enthronement ceremony in their homes, centered on a blessed image of Our Lady. 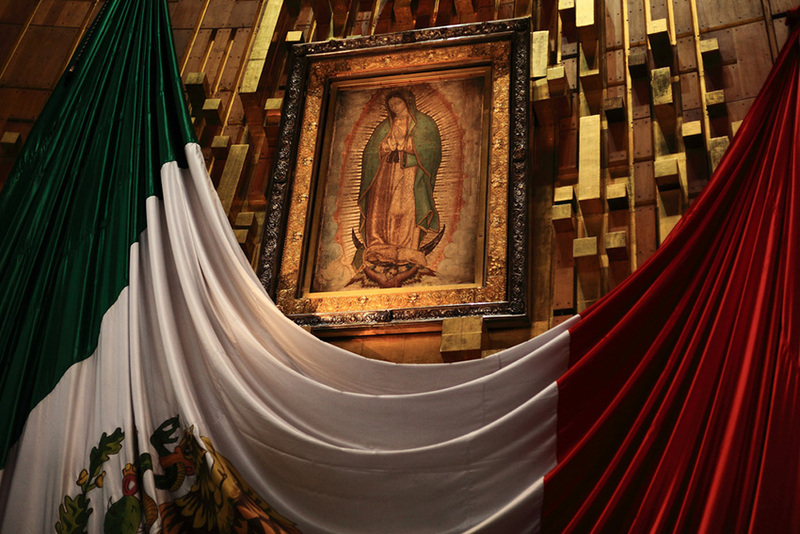 The story of Our Lady of Guadalupe is so powerful that it transcends all differences and speaks to the fact that even the most marginalized in society have value and virtue. And, like so many other holidays worldwide, it serves as an inclusive gathering time for loved ones. If you or your clients would like to travel in the Yucatan this holiday season, we can put you in touch with Catherwood Travels. Email me … I’d love to hear from you.